SMP100 is architected to house 6 modules of more than 30 various functional options to perform almost all kinds of video/audio application in a 1RU chassis, including receiving, decoding, encoding, transcoding, scrambling and modulation. Less space, less connection, less power consumption, more capacity, more ¬flexibility and more customer satisfaction - this is what Wellav DMP900 brings to you. DMP900 is a 1 RU scalable headend platform with flexible module-insertion structure (6 slots). The DMP can house up to six modules. All modules and the two power supplies are hot-swap and backup supported. 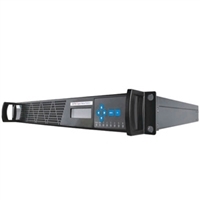 With its powerful data processing mainboard, it meets with different application needs such as receiving, decoding, transcoding, multiplexing, scrambling and modulation. All these features make the DMP a flexible yet powerful highly integrated solution for all levels of audio/video processing applications. DMP900 is architected to house 6 modules of more than 30 various functional options to perform almost all kinds of video/audio application in a 1RU chassis, including receiving, decoding, encoding, transcoding, scrambling and modulating. The highly integrated DMP with module-insertion structure not only greatly reduces the overall system space occupation and power consumption, but much simplify the system operation and maintenance. DMP900 supports fully operation based on all IP architecture, which provides a much cost-effective distribution solution for operators comparing with traditional network. It helps the traditional digital TV operators to have more smooth access to the IP network transmission. The client-based and web-based network management software provides operators a much convenient way to monitor, manage and configure the DMP devices.